PALMVIEW — There’s new leadership at the Agua Special Utility District as the board of directors approved the appointment of an interim general manager Friday. 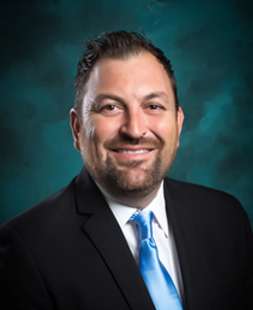 Engineer Richard LeFevre, who’s worked as city engineer with various cities across the Rio Grande Valley, was selected to head Agua SUD, the nonprofit corporation that provides water and wastewater services throughout western Hidalgo County. This comes after Executive Director Oscar Cancino announced his resignation Monday. The only vote against LeFevre’s appointment was from board Director Homer Tijerina. His opposition, he explained, was due to the fact that there was no discussion or presentation of LeFevre’s background or qualifications. He also noted that his company, LeFevre Engineering & Management Consulting, is contracted with the city of Peñitas and questioned whether he would be able to dedicate his time to Agua SUD. However, LeFevre assured that wouldn’t be a problem as his vice president would be the company’s representative at Peñitas. LeFevre said his background is in water and wastewater and has worked with the city of Weslaco for the expansion of a wastewater plant. He previously worked at the Texas Commission on Environmental Quality and was an investigator with Texas A&M Engineering Extension Service before going into designing water and wastewater. “So it’s my specialty,” he said. However, it’s unclear how long LeFevre will be at Agua SUD as the board of directors will be accepting applications for the permanent position. The board of directors approved a set of qualifications that will be posted for the position. The move to hire a general manager is a result of the utility district’s desire to phase out the executive director position which was created in 2015 to oversee the general manager. Frank Flores, the general manager at the time, left Agua SUD leaving the role vacant ever since. The first executive director was Julio Cerda who was followed by Cancino who replaced Cerda in October 2016. Upon his resignation this week, Cancino agreed to remain at the district to help with the transition.